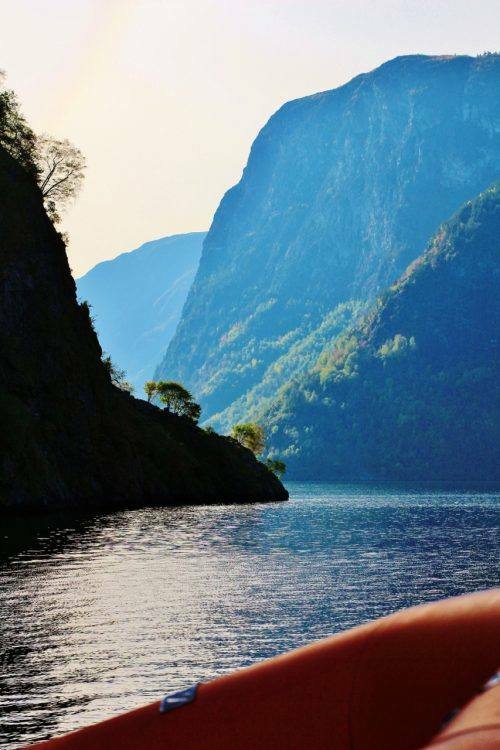 with several beautiful fjord branches, like the narrow Naeroyfjord. 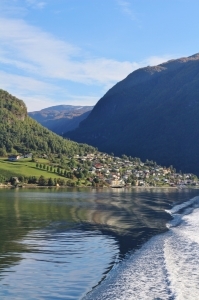 The fjord stretches more than 200 kilometres inland from the western coast north of Bergen. 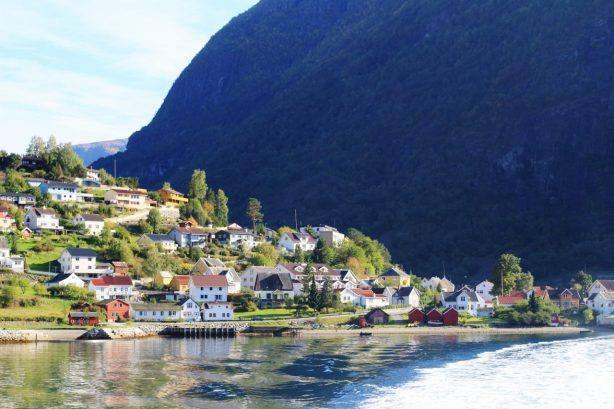 It reaches a maximum depth of 1308 metres below sea level, with the greatest depths in the inland parts of the fjord. Near its mouth, the bottom rises abruptly to about 100 metres below sea level. 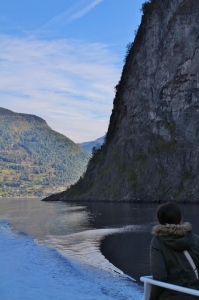 The cliffs surrounding the fjord rise almost sheer from the water to heights of 1000 metres and more. 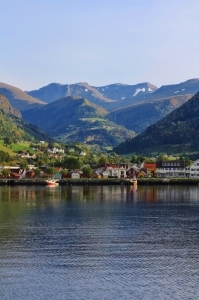 At the mountains of the northern parts of the fjord you find the Jostedal glacier. 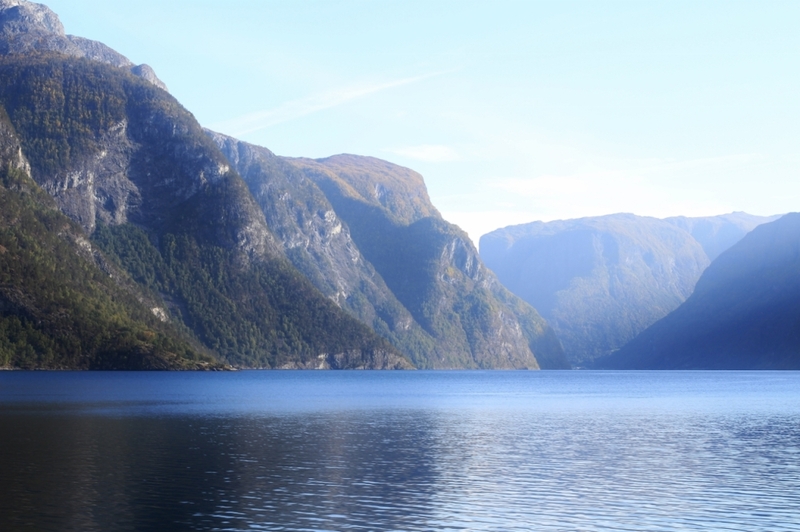 like the Fjaerlandsfjord, the Lusterfjord, the Unesco Naeroyfjord & the Aurlandsfjord. 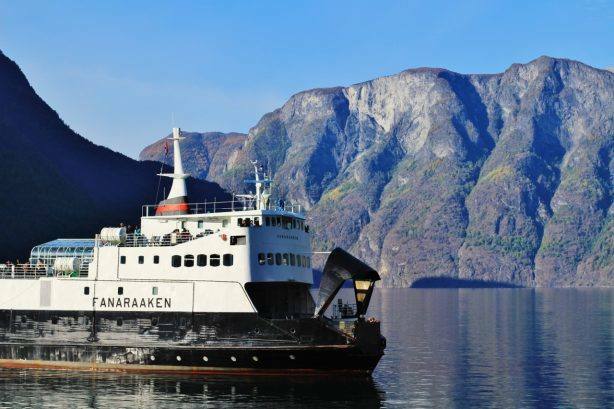 The Naeroyfjord is the narrower branch; a spectacular fjord with steep cliffs, accessible by boat only as there are no roads along the fjord. 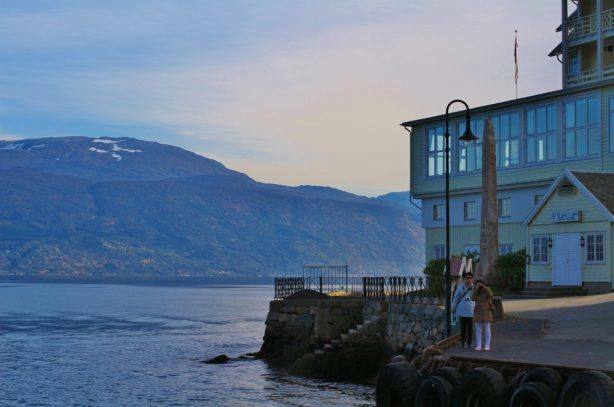 The historic Kvikne’s Hotel became popular among European visitors in the early part of the 20th century mainly due to Kaiser Wilhelm II, who often visited the hotel during his summer vacations prior to World War I. The hotel still possesses the chair he used in their restaurant. The Kvikne’s hotel is a famous landmark in this tiny village, with the beautiful, wooden building facing the fjord. The Kvikne family, who still owns the hotel, took it over in 1877. An impressive collection of art and historical pieces is a central feature of the hotel’s interior and common areas. All of the trips include amazing fjord cruises, the Flam Railway & Bergen line. The trips are independent (you will not travel with a group). The Sognefjord is easily accessible from Oslo and Bergen by public transportation. 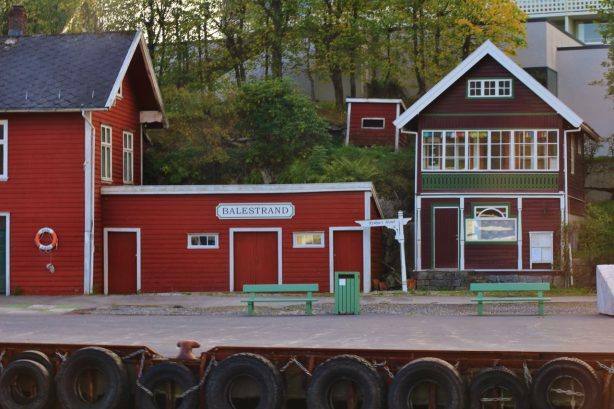 You can take the Bergen train line from Oslo to Myrdal, where you change to the Flam Railway, taking you down to the fjord. 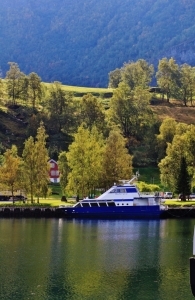 There are daily express boat departures between Flam and Bergen, cruising on the entire fjord.